Recently I was asked by a long-term client to offer a training module specific to handing guest complaints. Now I’ve always covered service recovery as part of my existing hospitality excellence training, focusing on using proactive hospitality and anticipating needs in order to avoid complaints before the occur. However, this resort client’s staff had already been through that many times and really wanted me to specifically address the topic of complaints. Like many other hoteliers, their leaders realize that with the proliferation of online guest reviews and social media postings, service levels are more transparent than ever before. In other words, the whole world potentially knows what happens in the hotel lobby and as I often say, the guest services staff is now officially a part of the hotel marketing team. Needing to create some new and original content, I decided to first do online research on what else was out there on the subject of guest complaints. To my surprise, what I mostly found was that the same old concepts are still being recycled from way back in the time when I started my career as a bellman. For example, there were countless variations of the acronym for L-E-A-R-N, most starting with “listen, empathize, apologize” and then substituting slightly different words for “R” and “N.” I saw numerous references to “stay calm and take notes,” all of which is certainly still important. Other postings still referenced some version of “an unhappy customer tells 9 to 10 others…” Some trainer postings I read attributed this to studies done as late as 1999, although it was actually first published by the U.S. Office of Consumer Affairs – Technical Assistance Research Project (TARP) in 1986. I feel like it’s time for some new content on this subject, so I hope our readers will find value in my new article series which I will call Conquering Complaints™. Why a carrot? If you’ve ever planted one in a backyard vegetable garden you know that the only part seen growing is the leafy greens sprouting out the top. This represents the part of the complaint that frontline associates see being presented to them by the guest, whether in person or on the phone, as the issue to be resolved. 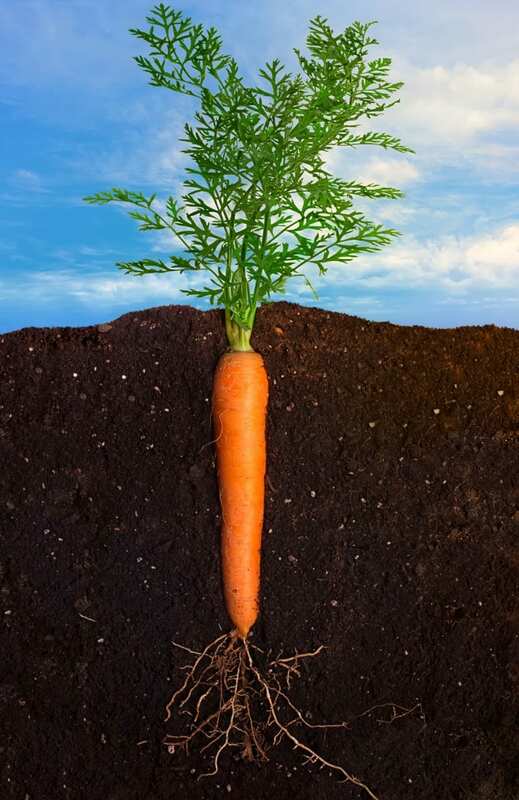 Just below the surface though lies the cause of the problem, represented by the orange, edible part of the carrot. The top of this part represents what employees often think of as being the cause of the guest’s verbal complaint, which is typically about a long wait time, an error, a physical shortcoming in a guest room or meal, or a process issue. However, it’s the “tip” of the carrot which is representative of the actual root cause of the reaction of the guest as displayed on the surface, and that my friends is the raw human emotion that we all sometimes feel as customers and guests. Based on my experiences not only as a hotel industry trainer for well over two decades, but also in many years working behind the counter of my parent’s small business and later in at hotels, I truly think that addressing the emotional component of a guest’s complaints is the foundation of any solution. Certainly, there is a small percentage of guests who are I call “Free Stuff Seekers” who are basically out there looking for something to complain about in order to get a concession or comp, and those will be also be addressed this series. It’s also true that many guest complaint scenarios do present opportunities to satisfactorily resolve the issue or shortcoming before it’s too late. In summary, step one in training your staff to Conquer Complaints is to make sure they fully understand the root causes run deeper than what is being presented to them in person or on the phone. In order to have compassion for the complainer, they need to realize there is probably a story behind the guest’s frustration, which on the surface might otherwise seem to them as being a bit overblown. Stay tuned to this publication for future articles in this series.